I received such great feedback on the free downloads of Finding Baby J, that I thought I’d do it again. 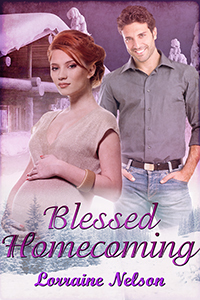 🙂 Blessed Homecoming is free from today, October 21st, until the 25th. Feel free to download your copy. 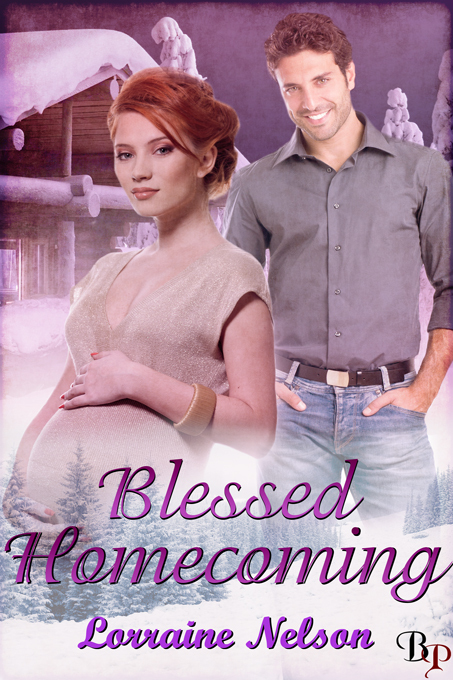 Blessed Homecoming is the first, and so far only, inspirational novel that I have written. Although a lot of my self-published works are clean reads, this is the only book that speaks of faith in God and in one’s self. I truly enjoyed crafting this story of romantic suspense. Previously published with BP, it became a bestseller with several e-retailers and was Book of the Month at a major review site. Don’t you just love the cover! The couple pictured here are exactly as I imagined them to be. There are many fine writers in the romance field today, but Lorraine Nelson, with her gift for understanding and portraying people and their ability to not give up on love, leads the pack. Realistic and inspiring characters. Wendy and Jake have pasts that make it difficult for them to trust and love. So glad to have run across this story, and will be reading more by Lorraine Nelson. Wendy and Jake are realistic, likable characters with real problems. The instant attraction was not insta-love, which I appreciated in this story. Rather than “love cures all”, this story seemed a lot more like love encouraged each one to grow and heal. A sweet, clean read that explores love, trust, forgiveness, and the close bonds of family. 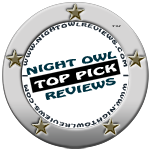 5 Stars Stacey Jo Siferd’s review, Night Owl Reviews, Jul 13, 2012 This is a book that mothers can share with their daughters and women can share with family and friends without worrying about content. I do hope you download and enjoy Wendy and Jake’s story. And if you have time, I’d appreciate your leaving a review on Amazon. Grab your copy here. New Cover and a Freebie too! It is my pleasure to present Escape to Sanctuary written by my good friend and critique partner, Nese Ellyson. This is a terrific read! The suspense and plot twists will keep you turning the pages in anticipation. When Dr. Evangeline Tourmaine’s mother turns up dead, she comes back to the states and unwittingly becomes the target of a killer. FBI Agent Colton Segar swears he will protect Evie, if it’s the last thing he does. Not easy to do when she keeps saving people in need of medical help. She’s drawing a lot of attention. As Colton tries to keep her under the radar, he finds himself drawn to her, and soon protecting her is more than just his job. It becomes a matter of heart. Nese Ellyson lives in a small town in rural Ohio with her own Prince Charming, two boys, and a cat they rescued. She’s an avid fan of romance, particularly when it has a suspense element. She’s always brimming with ideas and loves getting her thoughts down on paper. The day she released her first novel, Escape to Sanctuary, an inspirational romantic suspense, was one of the most exciting days of her life. Nese is a bit of a Mrs. Fix It, and enjoys doing repairs and renovations on her family home. She enjoys art and her paintings have been in several art shows. She feels she has the greatest job of all, working for her Christian ministry as an artist and designer. Debut Release by a Fantastic Author!!! It’s my pleasure to introduce you to Denise Ellyson, a long time friend and critique partner. Denise has finally decided to present her work to the world. And she’s done it through Amazon’s KDP set-up. Escape to Sanctuary is an inspirational romantic suspense that will leave you wanting more from this exceptional storyteller. And Denise even designed her own cover. Escape to Sanctuary is on sale all this week for only 99 cents! Grab yours before the price goes back up. Dr. Evangeline Tourmaine, is on the run from a killer. His latest victim is Evie’s stepmother. Evie finds help from Coltan Segar. Coltan, who is an FBI agent, suspects Evie has evidence proving Sheriff Caine is the murderer. Coltan needs to keep Evie safe till the killer can be caught. Not easy to do when the killer is the local Sheriff. The rain pelted down in cold, stinging needles. Evie sat pressed up against the wall of the Community Center. She could see them through the church’s stained glass window, could hear their words as the Pastor spoke to the police at the open door. She needed to hide so they didn’t see her. She couldn’t get caught. If she could just reach the back door and slip in, she could hide in the church basement until the storm passed over, then she could get out of town. The fear and the cold made her teeth chatter. The pain in her shoulder was excruciating. She stumbled for the basement stairs and tried the door. It opened into a dark room. She quietly closed the outer door behind her and moved quickly to the only source of light, coming from the door to the church. She paused as she heard voices raised in song, singing praises to God. At first, her fevered brain thought it was angels singing, but then logic intruded and she realized the choir was getting ready for Sunday service. She huddled by the door and let the music drive away the fear. They sang “Amazing Grace” and she felt the first real stirrings of hope settle in her heart. God had not forsaken her. She needed to be strong and of good courage. She felt the heat of the fever start to eat away at her physical strength, but in her soul, she felt empowered. The lyrics had given her a new determination. She left the safety of the church and walked toward the entrance of the shelter. The name Sanctuary glowed in neon blue over the entrance to the parking lot. It was only a couple of buildings down from the church and community center, but in the driving rain, it felt like miles. By the time she made it to the door, she was soaked through and shivering. Just click on the cover above to go straight to Amazon.com. And in the UK, click here. I’m sure you will enjoy this fantastic story!